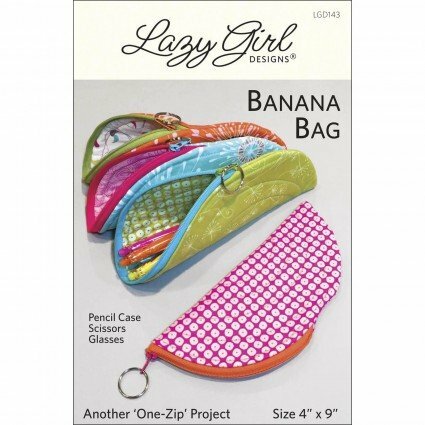 Make a bunch of these small banana-shaped zippered pouches! Perfect for: sewing tools, glasses, pencil case, supplies, or for gifting! Use Joan's tricks for sewing a zipper in along a curve and swapping the zipper pull color for fun. Grab your favorite fabric layer cakes, sew a little, cut a little, zip a little and done! Made from 10in squares.